The Opal Lightroom plugin is the best tool I’ve seen for fading Develop Presets in Lightroom. But before we look at the plugin itself, let’s recap some of the reasons why you should use Develop Presets in your Lightroom workflow. 1. You can create several Virtual Copies or Snapshots of an image and use different Develop Presets to see how they come out. Changes are saved in the Lightroom Catalog as text commands, so those extra versions take up very little extra hard drive space. A good example of this is creating color and black and white versions of the same photo. 2. 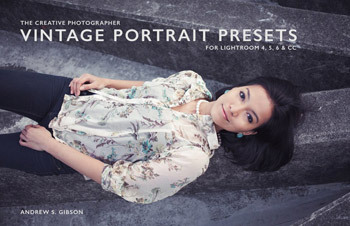 Develop Presets fit in neatly with your Lightroom workflow – there’s no need to export your images to Photoshop or other software. 3. It’s easy to see how Develop Presets work. If you download a Develop Preset made by somebody else you can go straight to the Develop module panels to see which settings have been altered. It’s easy to make an adjustments plus you get to learn how the photographer created the effect. 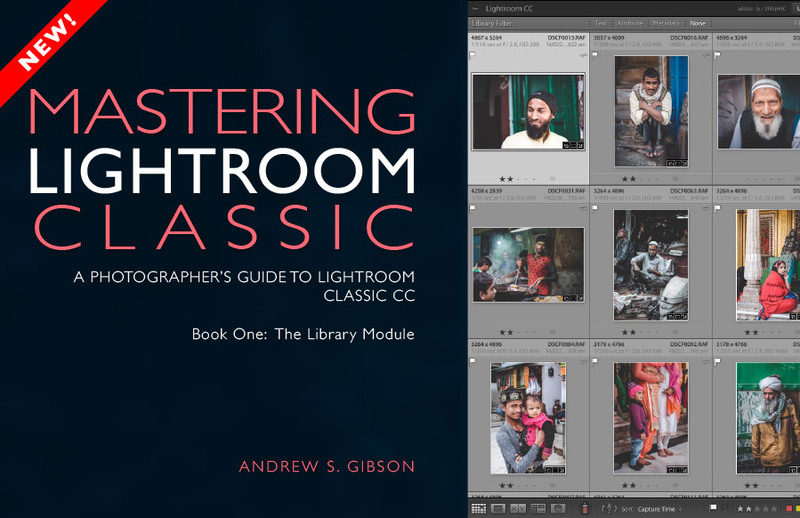 It’s a great way of learning to use Lightroom. 4. You can create your own Develop Presets to speed up your workflow, or buy Develop Presets created by somebody else. If there’s a particular look, black and white conversion or color treatment you like to apply to your photos then why not make a Develop Preset from it? 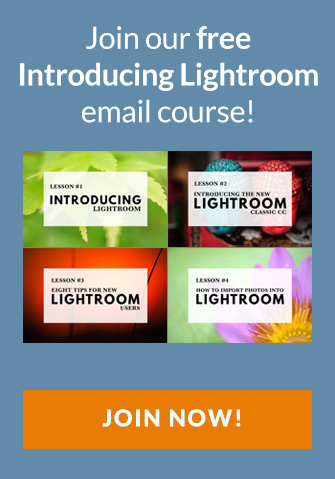 This makes it easy to apply to other photos and helps you achieve a consistent approach to developing photos in Lightroom. Lightroom comes with some Develop Presets that you can try out to get used to this style of working. 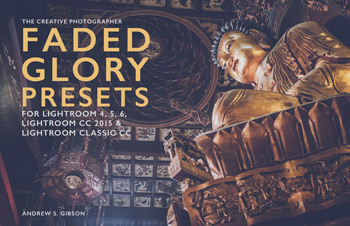 You’ll find the best of them in a folder called Lightroom Color Presets and (for those of you who like black and white) Lightroom B&W Presets. Adobe don’t provide a great number of Develop Presets in Lightroom, so if you want to explore the use of presets properly you either need to buy some Develop Presets or find some free ones to download. 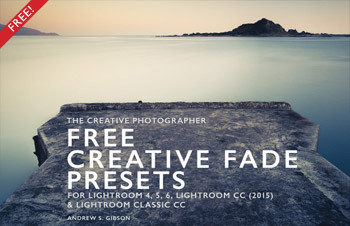 If you’re looking for free Develop Presets then these offerings from ON1 software are a good place to start, as are our free Creative Fade Presets. 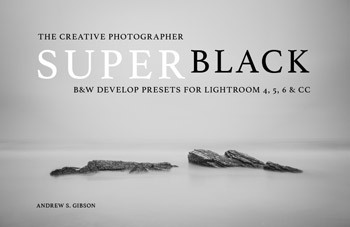 If you’d like to buy some, then you can look at our SuperBlack, Faded Glory and Vintage Portrait presets. One of the problems you might find with Develop Presets you download or buy is that many of them are too strong. They tend to hit you over the head with the intended effect rather than take a more subtle approach. The Bleach Bypass and Cross Process 2 presets that come with Lightroom are a good example of this. Both are interesting, but they are also very intense, as you can see by looking at the photos below. If only there was a way of fading the effect – a kind of opacity slider in Lightroom. That’s where the Opal Lightroom plugin comes in. The Opal plugin (which gets it name from Opacity Lightroom) does exactly what its name suggests. Once its installed you can use it to fade out Develop Presets like Bleach Bypass and Cross Process 2. The plugin analyzes the changes the Develop preset made to the image, and fades them all at the same time. That includes complex changes like Tone Curve Adjustments as well as the sliders found in panels like the Basic panel. Here are the two photos I showed you earlier with the Bleach Bypass and Cross Process 2 presets applied in a more subtle fashion. All I’ve done is reduce the intensity of the presets using the Opal plugin. I haven’t touched any other slider in Lightroom. As you can see I went from over the top to super subtle with a single slider, thanks to the Opal plugin. 1. First you need to install Opal. This is straightforward and the instructions are in a PDF document supplied with the plugin. 2. Open the photo you want to develop in the Develop module. The next bit is up to you. You can use Develop Presets, or move the sliders around yourself, or a combination of the two. The benefit of the Opal plugin is that you don’t have to use it with a preset per se. It works with whatever settings you’ve applied in the Develop module. 3. Press the key you selected to use as the shortcut to activate Opal when you installed it. Move the slider to adjust the strength of the changes you’ve applied in the Develop module. Ten, the default setting, equals 100% (no change). Nine is 90%, eight is 80% and so on – down to zero in one direction and up to 15 (150%) in the other. In this example, I moved set the slider to 3, fading the Cross Process 2 preset to 30% of its strength. 4. If you go to the Plugin Manager (File > Plugin Manager) you have the option to enable Advanced Mode. With Advanced Mode enabled, you have more choices in the Opal slider. Advanced mode lets you choose which settings you want to adjust. If the Tones box is ticked, Opal adjusts the RGB curve, the Parametric curve and the Highlights, Shadows, Whites, Blacks and Contrast sliders in the Basic panel. When the Cast box is ticked, Opal adjusts the individual R/G/B curves, Split Toning and Shadow Tint settings. If the Color box is ticked, Opal adjusts HSL panel, Saturation, Vividness and the Red/Green/Blue Primaries. When the Details box is ticked, Opal adjusts the Grain, Dehaze, Clarity and Vignetting sliders. As you can see, this gives you a lot of control over the effect of the slider by separating the tone settings from the color and detail settings. For example, with the Cross Process 2 preset you could tick the Tones box to keep the strong colors while fading out the excessive contrast. How does Opal compare to The Fader plugin? 1. Opal is easier to use as it’s accessed by a single keyboard shortcut. 2. Opal works with whatever settings you’ve applied in the Develop module, The Fader only works with specific Develop Presets. 3. Opal has a smarter algorithm that gives better results. 4. Opal’s Advanced Mode gives you a good level of control over the settings adjusted by the slider. 5. Opal is a little more expensive at $15, but the additional features it gives you are worth the extra money. 6. 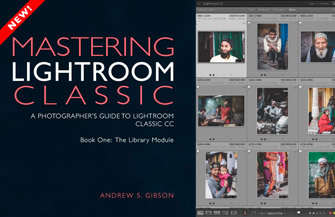 The Opal plugin works with Lightroom Classic CC, Lightroom 6 and Lightroom CC (2015). If you have an earlier version of Lightroom you’ll need to use The Fader plugin instead. I’m so impressed with Opal that from now on, I’m going to recommend it to everybody as the plugin you need to buy to add an opacity slider to Lightroom’s Develop module.